Garden Adventures - for thumbs of all colors: Hidden Beauty. I love to take photographs in my garden and the gardens of others, especially close up shots which really help me appreciate the intricate beauty of nature’s treasures. The camera focuses my eye and attention to see nuances I might otherwise have missed. Perhaps the most valuable lesson has been that of recognizing the importance of backlighting. 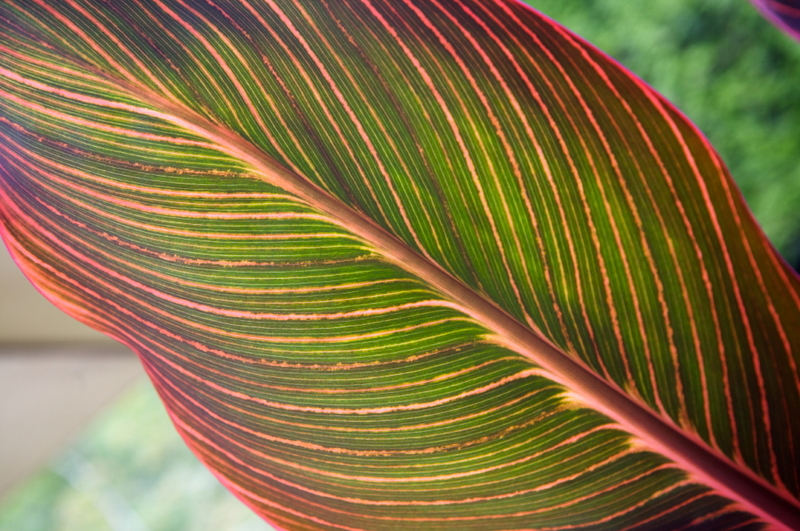 When a leaf is lit from behind it becomes almost translucent and previously hidden colors and textures are revealed like the magic painting books of my childhood (add a sweep of a wet brush to a seemingly white page and blue skies and green grass would mysteriously appear). It is a phenomenon you have probably seen many times, especially when enjoying a walk in fall, peering up through the canopy of autumn leaves to the clear blue sky above. Red leaves glow as though on fire while yellow tones take on an ethereal quality, bathing you in a pool of golden light. Recognizing this opens up new design opportunities and considerations. 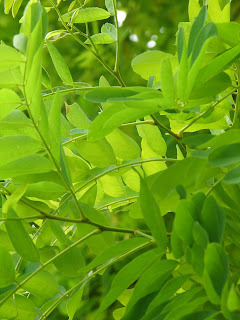 For example after working underneath our golden locust tree (Robinia pseudoacacia ‘Frisia’) just a few days ago I looked up through the foliage to marvel anew at their luminosity and realized what a perfect addition they would be to a dappled woodland glade we are developing, especially if I place them in such a way that the meandering path will pass directly underneath their waving branches. 'Grace' smoke bush into silhouette. My favorite smoke bush (Cotinus sp.) without a doubt is the variety ‘Grace’ with its dusky blue-purple leaves, beautiful when viewed from any angle. When lit from behind the red tones dominate and change its appearance completely. I want to plant more of these where they can be seen with the western setting sun behind them while I sip an evening glass of wine. The soft, low angled light at that time of day is a photographer’s dream, which we as gardeners and designers can learn from. 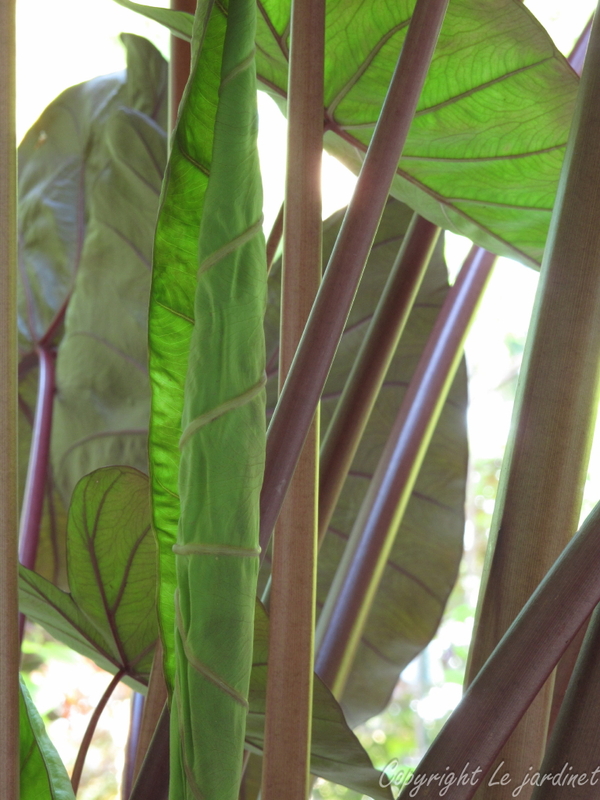 Then there are the tropical plants I enjoy in the warmer months here in Seattle. 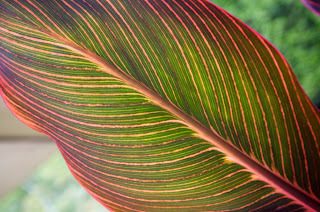 Canna ‘Tropicanna’ has been photographed in this way by many artists but I never fail to be impressed by the colorful stripes within the large leaves that although visible from the upper surface are highlighted when light shines through. The giant elephant ears ‘Diamond Head’ (Colocasia esculenta) is one of my favorite tender plants. 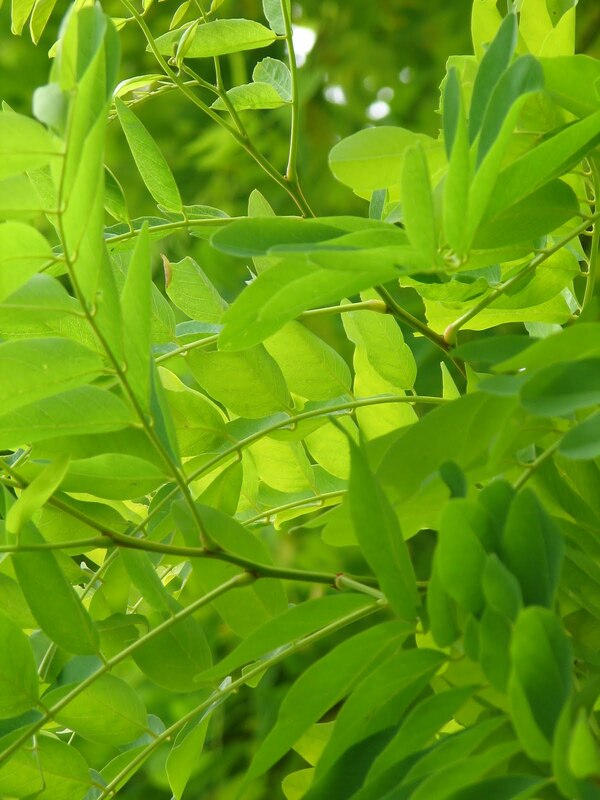 Standing erect on thick black bamboo-like stems the tightly rolled green spires slowly unfurl to reveal huge heart shaped leaves of glossy black. Peer underneath the canopy to discover the striking network of cranberry colored veins spreading like fingers across the green tinged plane. There are many more wonderful examples waiting for you to discover. Take time to walk on the ‘shady side’ and see your garden from a new perspective.